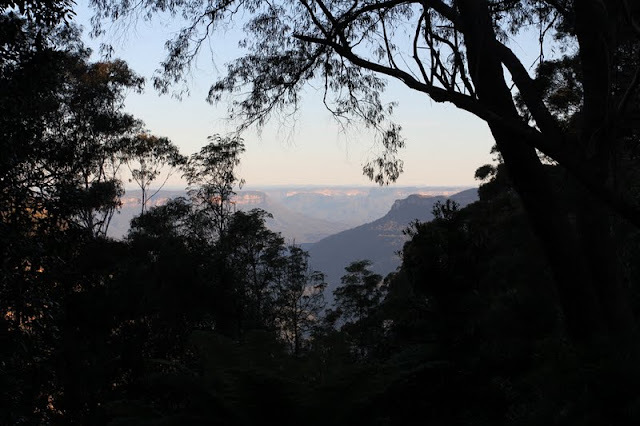 If you've been following Cheesecake Boy and I on twitter, than you may have realised that Cheesecake Boy and I went to the Blue Mountains for a couple of days last week. I promise that we will get to the dining experience eventually, so please bear with me. 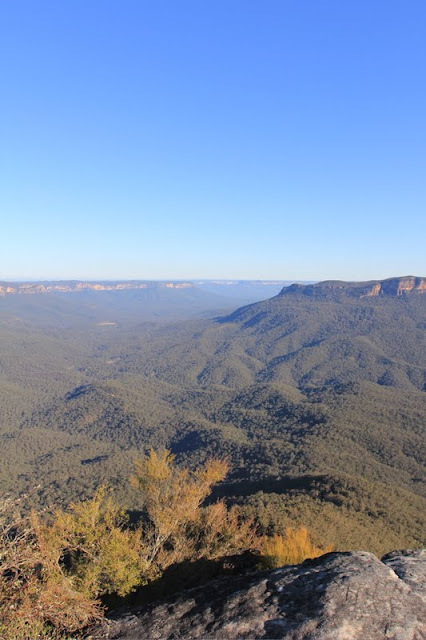 Now, this is the first time that Cheesecake Boy and I have been to the Blue Mountains together, and we had intended to get to there earlier, but with certain things that needed to be done, we didn't get to our B&B in Leura until around 3pm. However, that did not deter Cheesecake Boy from making a beeline towards Sublime Point lookout, as soon as we had checked in. I thought that because we got there so late in the afternoon, that we would only be going for a leisurely stroll, so although I had packed a pair of sneakers I left them in our overnight bag, and kept my ballet flats on. It made for a bumpy walk, but at least the path to the lookout was pretty straightforward. The view was worth the ten minutes of self-inflicted discomfort on my end. We decided that since we had a big dinner to look forward to later, that we should probably do some more walking to burn off some extra calories in advance. We were meant to head over to beautiful Everglades Gardens, as it was highly recommended by our host at the B&B, but we got lost and ended up at some local park. After chatting to the locals, Cheesecake Boy found out there was a trek that headed to a waterfall, so an excited Cheesecake Boy decided that a change of plans was in order. Now, Cheesecake Boy is quite a patient person, especially to put up with me and what he calls my city girl ways. However, it got to a point that Cheesecake Boy got fed up with slow and clumsy me and my ballet flats. In my defence, it had rained a couple of days prior, so the track was very muddy. The type of muddy where you're shoes sink into the soft ground. Our next hurdle was this mini step stone bridge, where at this point Cheescake Boy turned around and asked if I still wanted to proceed, and because I could hear the waterfall in the distance, I stubbornly insisted on soldiering on. Looking back on it now, it probably wasn't my wisest moment, but I had a point to prove. Although, Cheesecake Boy willingly kept trekking along, it wasn't enough to stop Cheesecake Boy from blaming me in advance, in the event that police rescue had to be called to get us out of there because of my stubborn insistence. While I was walking along the step stone bridge, I got my first ever waterfall trickle which was really exciting for me, but then we had to cross a rickety wooden bridge that had been warped by who knows what, but there was broken yellow tape around it. 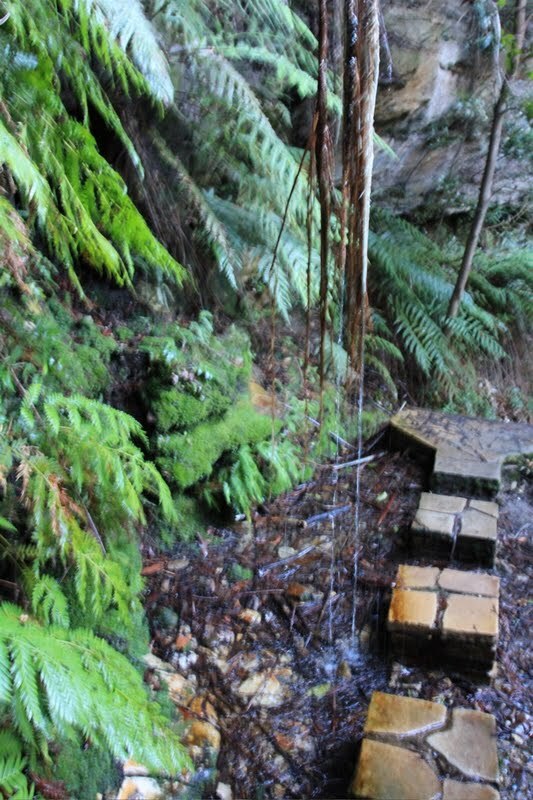 However, getting to the waterfall made it all worth it, I tell you. It was enough to stop Cheesecake Boy and I bickering about the suitability of my shoes. Unfortunately, we could not stay down there forever and it was getting dark. Let me say that the trek back up was so hard. By the time we made it back up and looked at the view from the top one last time, I was more then ready for a little nap. Refreshed from a nice rest, a hungry Cheesecake Boy and I zipped towards Blackheath for dinner. Ashcrofts had been highly recommended to us by a friend, and it was a short and easy drive. There's no need to wander back and forth trying to find this place, as it's easily located just off the main road. The decor of Ashcrofts was wonderfully cosy, and we were greeted by a super friendly host, who made us feel right at home. This establishment also had a lovely gallery upstairs. Perfect, if you get bored easily and need to walk away from the cosy dining area. 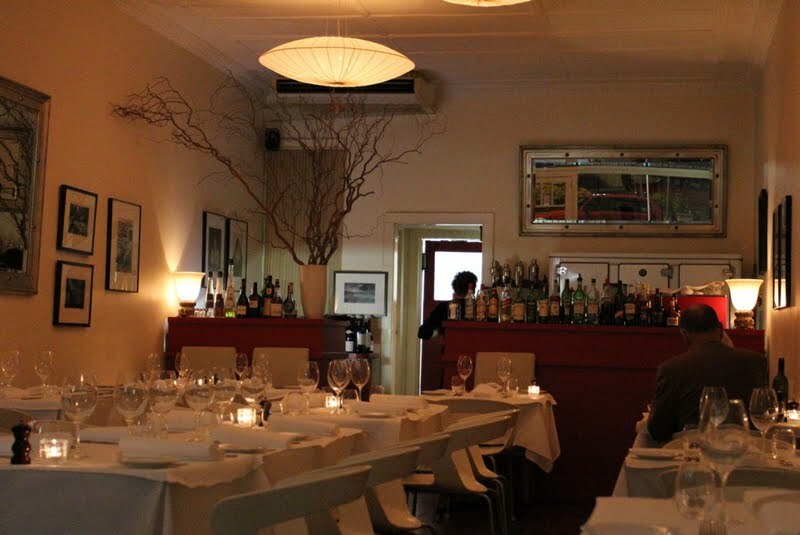 The meals were set at two courses for $75 and three courses at $88. 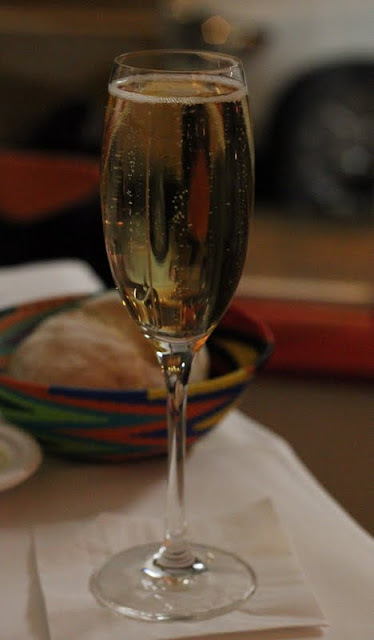 As per usual, but especially on holidays drinks are the way we like to start our dinner. 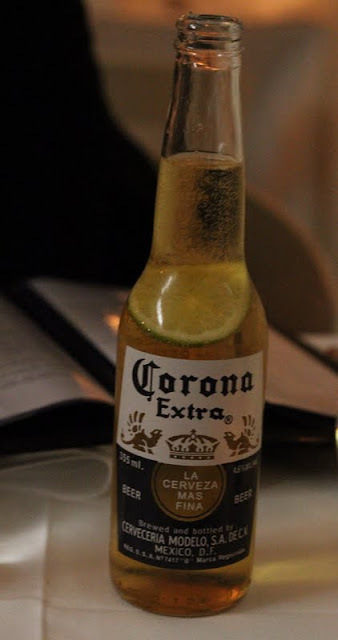 Cheesecake Boy makes a point of telling me that this is the most expensive Corona he has ever had at $11.50 a pop. The Bellini offered here has a French twist of Grandin Sparkling Brut added to the pure peach liqueur. Unfortunately, there was more bubbly than peach liqueur. However, it was still refreshing. 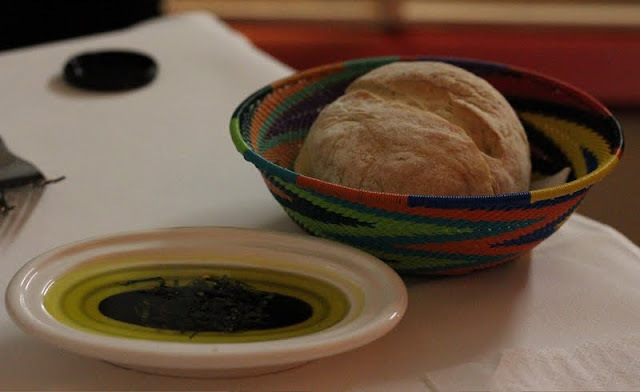 As soon as we were seated Cheesecake Boy announced that he was starving, so the house made white bread roll with balsamic treacle and extra virgin olive oil was recommended to us. Now, for me this was love at first bite, but I'm sure the super chilly night and cosy surroundings heighten the experience. Who would of thought that an unassuming hot and crusty white roll dipped simply in olive oil and sweet thick treacle would be so delightful. I had heard many good things about the chilled goose liver and cognac mousse with prune and tamarind chutney on house made crostini, and since I love a good pate, I decided to order this. Although, I did hesitate as Cheesecake Boy and I usually like to share our meals, but he really is not fond of pate at all. 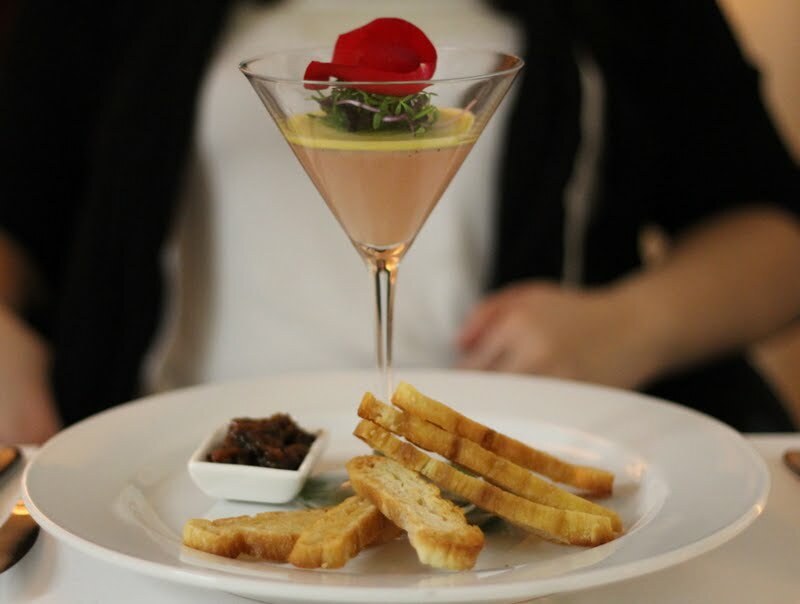 The chilled goose liver and cognac mousse with prune and tamarind chutney was an elegant dish. I don't know if I would call this a mousse, as it would shatter my crostini when I tried to spread the pate on. However, the pate was wonderfully rich and you got a good of dash cognac coming through. The pate really came to life, when accompanied by the sensational sweet and blissfully caramelised prune and tamarind chutney. The pairing of the pate and chutney for me, was truly a match made in heaven. The serving was quite generous, and our host without asking served me some more crostini, so that I was able to finish my entree. I thought that was rather lovely of her. Cheesecake Boy's entree of soft shell crab tempura with mirin, coriander root and sweet chilli dipping sauce that was just hiding behind the crab was superb. 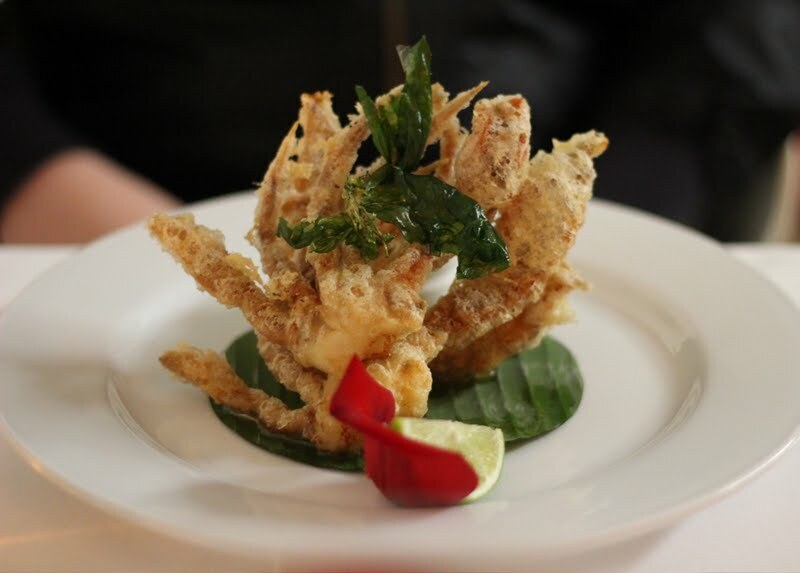 For both us this was easily the best soft shell crab tempura we have had the pleasure of eating to date. It was just so fresh and there was no lingering fishy aftertaste, that I find usually associated with eating soft shell crab. The texture of the tempura melted in your mouth and was as light as a feather. It was amazingly good with the mirin, coriander root and sweet chilli dipping sauce. I could of ate the sauce on its own, with its lovely combination of sweet, slighty tangy and just a hint of spice. 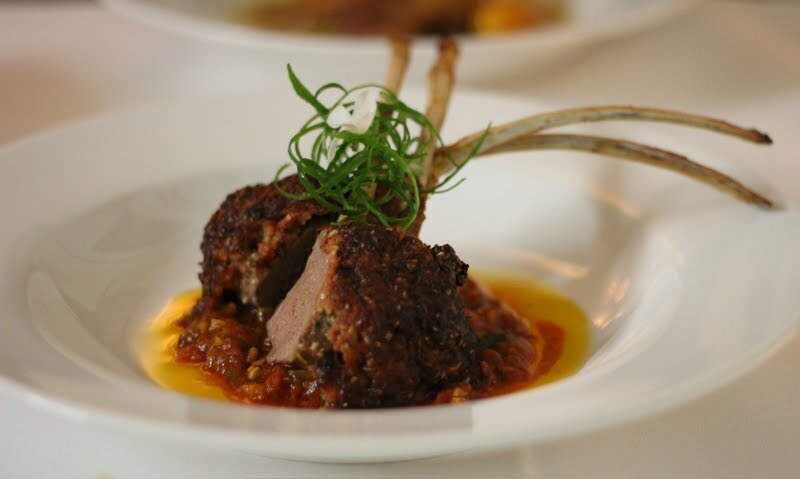 Cheesecake Boy ordered the chorizo, caraway and parsley crusted lamb rack baked medium, on a rustic romesco sauce for his main. He found the lamb slightly overcooked, but enjoyed the subtle and smoky flavours of the crust with the slightly tangy and spicy romesco sauce. The twice roasted crispy skin duck with Arabian aromatics and citrus flavours was my main of choice, and it was deliciously rich. 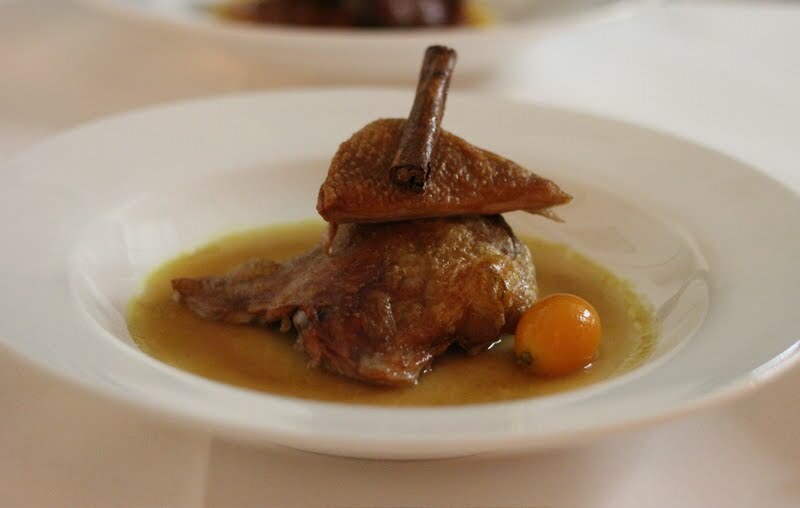 The sweet spices and lovely citrus notes of the cumquats worked so well with the fantastic crispy skin, and beautifully succulent flesh of the duck. All main courses were accompanied with a side of layered potatoes and seasonal vegetables. 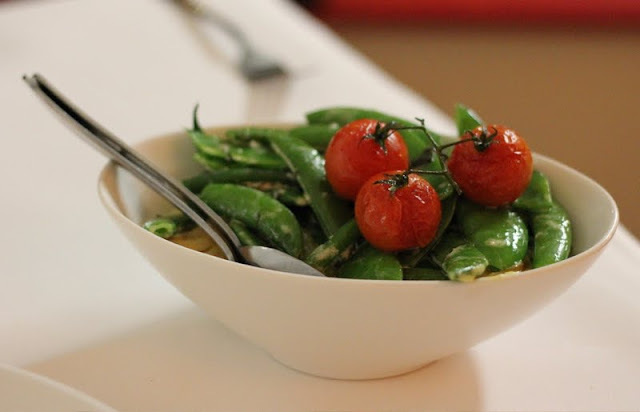 The side of the potato gratin underneath the lovely assorted seasonal beans and juicy tomatoes, was definitely one of the more memorable potato dishes that I have ate in a while. I tend to avoid gratins, as I think they are usually too creamy. However, it was all about the potatoes and not the cream. It was only creamy enough to bring out the lovely starchy goodness of the spuds. The assorted beans were wonderfully crunchy and the tomatoes were so beautifully robust. We couldn't leave without trying dessert, but with all the rich food consumed that night, only one dessert would be able to grace our table. Cheesecake Boy's choice of the house made profiteroles with grand marnier laced creme patissiere and dark chocolate fudge sauce served with a vanilla bean infused creme fraiche made the cut, as opposed to the pecan praline and lemon curd meringue that I had wanted so badly. Since, Cheesecake Boy usually gives in to me, it's only fair that I let him choose the dessert every now and then too. The profiteroles were lovely. The choux pastry was piping hot with a subtly crunchy exterior that was a joy to eat against the lusciously creamy creme patissiere that was very light in Grand Marnier. Let's not forget the dark chocolate fudgy sauce, which was perfectly rich without going overboard, and to top this all off the vanilla bean infused creme fraiche was truly the right finishing touch. As it truly helped separate all the sweetness, but at the same time brought all the elements nicely together. 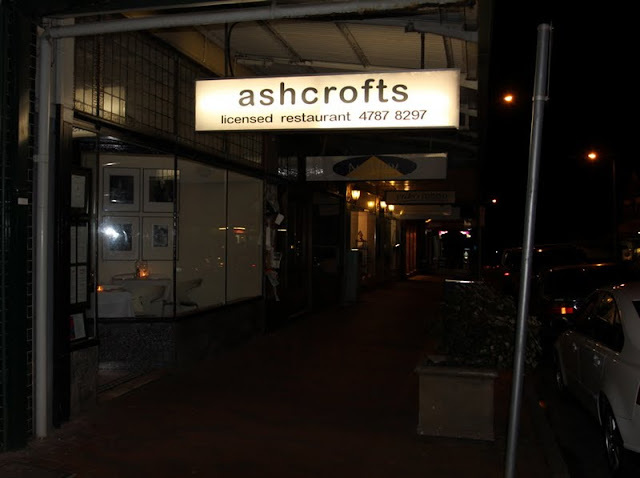 We loved the good old fashioned warm hospitality and beautiful simplicity of the dishes at Ashcrofts. Where old favourites become new favourites. It just goes to show that more often than not, that simple things are often the best. Wow, what a lovely walk - I've done the ballet flat thing at the Mountains too, lol. I'm sure profiteroles helped your recovery though! 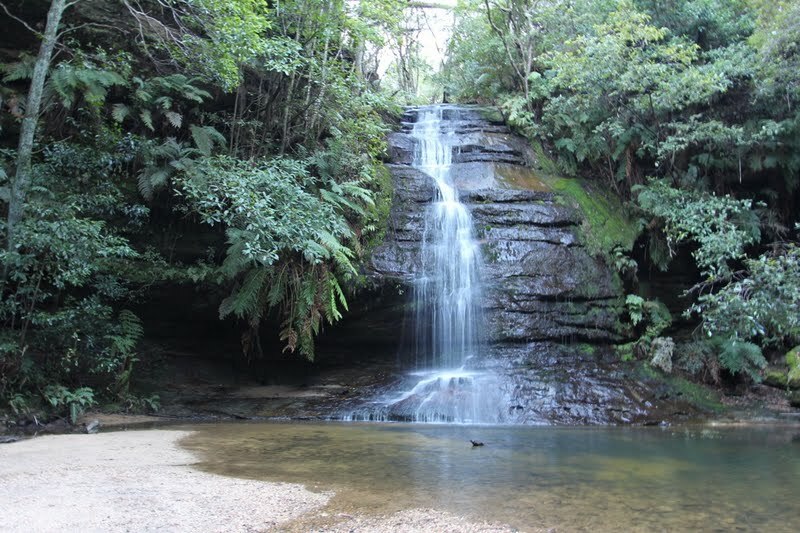 I love visiting Leura and doing the walk to the waterfall. I haven't been to Ashcrofts but it looks like it's worth a visit! Hello JasmyneTea, Glad I'm not the only ballet flat trekking girl around :D. The profiteroles sure did help. Hey Jen, It was a great walk. Ashcrofts is definitely worth a try, it was a lovely meal. 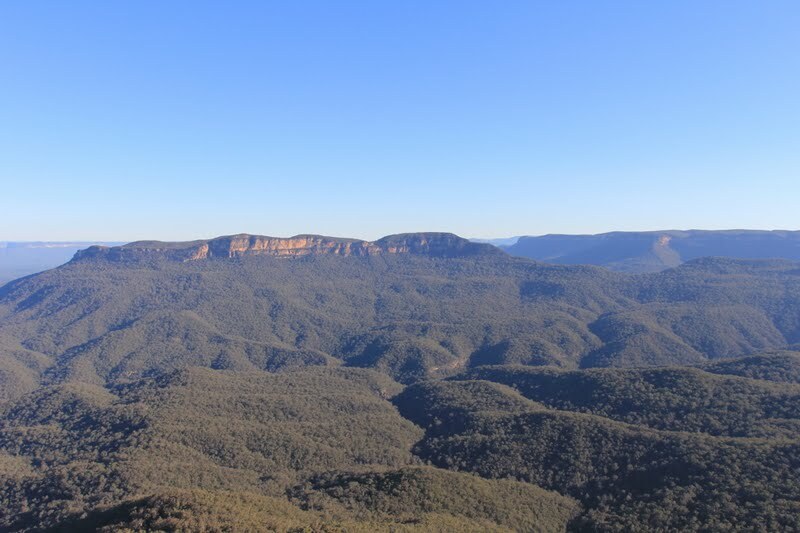 I've always wanted to go to the blue mountains.. time for me to schedule in a weekend away! 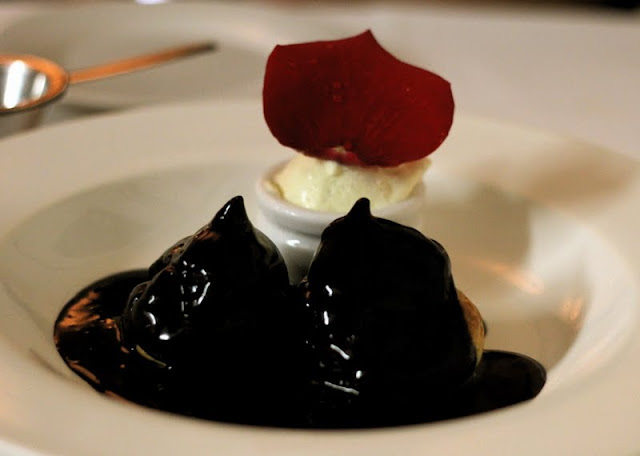 :) and wow, that is some dark, dark chocolate sauce! Hi Joseph, definitely paying a premium for the Corona. Oh well, we're on holiday. Wow, this place looks and sounds amazing. And well-deserved after the bushwalk struggle. Will have to try it next time we take out-of-towners to the mountains. Hello Detective Chow, lol I couldn't agree more about the bush walk struggle. I really enjoyed Ashcrofts, just lovely food and such friendly service. © 2011 all rights reserved www.dumplingirlandcheesecakeboy.blogspot.com. Travel theme. Powered by Blogger.